Like the churches of Christianity, The Church of Almighty God came into existence because of the work of God become flesh. The churches of Christianity came to be because of the appearance and work of the Lord Jesus become flesh, and The Church of Almighty God came to be because of the appearance and work of the incarnate Almighty God of the last days. Thus, churches throughout the ages have been produced because of the appearance and work of God become flesh. The work of each step of God’s incarnation expresses many truths, and many people come to accept and follow God because of these truths expressed by God, thus giving rise to the churches. From this it can be seen that the churches are formed from those who accept the work of God and follow God. These gatherings of God’s chosen ones are called churches. The churches of Christianity were produced by the appearance and work of the incarnate Lord Jesus two thousand years ago. The Lord Jesus preached, “Repent: for the kingdom of heaven is at hand” (Mat 4:17), and He did the work of redemption, and expressed the truths that the people of the Age of Grace should put into practice and enter into, many people then began to believe in and follow the Lord, and thus the churches of that time came into being. Afterward, the gospel of the Lord Jesus spread to every country and territory, until the last days when it had spread to the ends of the earth, and Christian churches thus emerged in every country. These were the churches of the Age of Grace. During the final stages of the last days, the incarnate Almighty God appears and works in mainland China. Upon the foundation of the work of redemption of the Lord Jesus during the Age of Grace, Almighty God carries out the work of “judgment to begin at the house of God” (1Pe 4:17) prophesied in the Bible. To all mankind, Almighty God reveals all the mysteries of God’s six-thousand-year management plan, and expresses all truths for the purification and salvation of mankind. Because of the appearance and work of Almighty God of the last days, many people from various denominations of the religious world, people who have believed in the Lord for many years, have finally heard the voice of God and seen that the Lord Jesus has come and has carried out the work of judgment of the last days. They have verified that Almighty God is the return of the Lord Jesus, and because of this they have accepted Almighty God’s work of the last days. In mainland China, at least several million people (tens of millions according to statistics from the Chinese Communist Government) have accepted and now follow Almighty God. Thus, The Church of Almighty God is entirely the result of the appearance and work of Almighty God. It was personally established by Almighty God, and not by any person. Every Christian in The Church of Almighty God fully recognizes that Almighty God is the return of the Lord Jesus, Christ of the last days, and the appearance of God. The Christians of The Church of Almighty God pray to the name of Almighty God. What they read, listen to, and fellowship are the words of Almighty God, and what they hold to are all the truths expressed by Almighty God. These truths are the way of everlasting life brought by God during the last days. In His work, the incarnate God of the last days also personally appointed and testified to the man used by God, that he might cooperate in the work of God—just as when the Lord Jesus worked, He personally chose and appointed the twelve apostles. These people who are used by God, however, merely cooperate in God’s work, and they are incapable of working in God’s stead. The churches were not established by them, and the one whom God’s chosen ones believe in and follow is not those who are used by God. The churches of the Age of Grace were not set up by Paul and the other apostles, but produced by the work of the Lord Jesus; they were personally established by the Lord Jesus. Likewise, The Church of Almighty God of the last days was also not set up by the man used by God, but was born from the work of Almighty God. It was personally established by Almighty God, and is shepherded by Himself; the man used by God merely waters, provides for, and guides the churches, performing his duty. Although God’s chosen ones are led, watered, and provided for by the man used by God, the One whom God’s chosen ones believe in and follow is Almighty God—which is a fact that no one can deny. Most in The Church of Almighty God are people from different denominations who have believed in the Lord for many years. They all understand the Bible, and in these various denominations they testify that the Lord Jesus has come, that He is Almighty God, and has done the work of judgment of the last days. As a result of seeing that the words of Almighty God are the truth, and the voice of God, many people come to accept Almighty God. They are the first group of people who are caught up before God. The Church of Almighty God was born of people from Christianity, Catholicism, and other religious denominations who accepted the name of Almighty God. 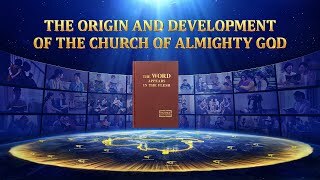 Today, most people from various denominations have begun to investigate Almighty God’s work of the last days, thus fulfilling the prophecy in the Bible that “all nations shall flow to it” (Isa 2:2). Ultimately, all those who truly believe in God shall return to Almighty God; this is inevitable, for it was long since planned by God, it is God’s decree, and no one can change it! Previous： Why Does God Take the Name of Almighty God in the Age of Kingdom? Next： Are Almighty God and the Lord Jesus One God?